Home / Pre Workout / Eye Candy Labs Pixie Dust 30sv, BOGO Available!! Eye Candy Labs Pixie Dust 30sv, BOGO Available!! 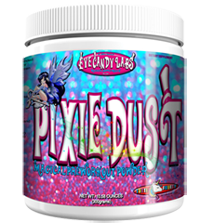 Special Promo – buy 1, get 1 at 50% off on Eye Candy Labs Pixie Dust, with just a small shipping fee added into price! Discount will show up in shopping cart when you select 2 or more items. This is for a limited time only!! Blast through your most challenging and physically demanding of workouts with one of the most unique pre-workouts to hit the market. The formula is highlighted with three key blends, the first of which is the “Get energized Blend,” providing you with a combination of premium ingredients that help to give you laser focus, raging intensity, and maximum energy for your workouts. 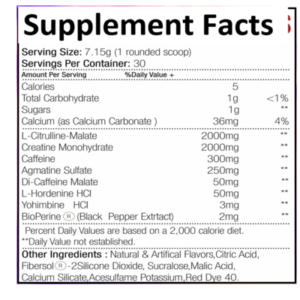 Key Blend #2 is the “Endurance, Vascularity & Pumps Blend.” While the name says it all its effects also hit on a neurological level promoting better mental acuity and improvements in mood. Key Blend #3 is the taste… Pixie dust has two amazing flavors that you will actually be looking forward to consuming! Magical Lemonade and Tutti Fruitti will having you wanting to workout more than once a day just so you can drink it twice!! We love what we do here at Eye Candy. We take our passion for fitness and combine that with our love for candy to give you the most unique and flavor filled products on the market.. Magically Delicious!!!! Change the game and get Turnt Up Today! 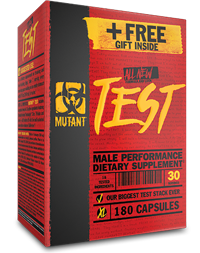 Mutant Test 180ct, BOGO Available!! Formutech Nutrition REM – 8.0 40 Servings, BOGO Available!! 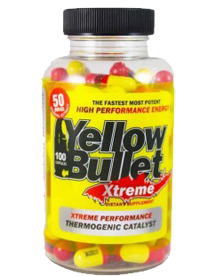 Hard Rock Supplements Yellow Bullet Extreme 100ct, BOGO Available! !